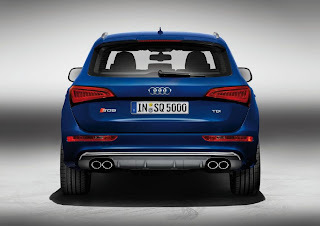 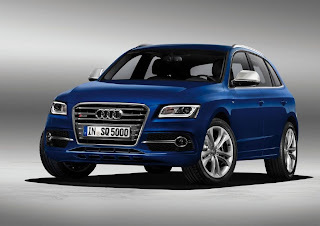 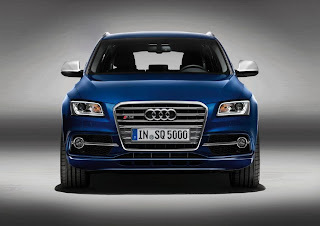 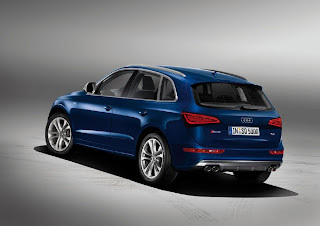 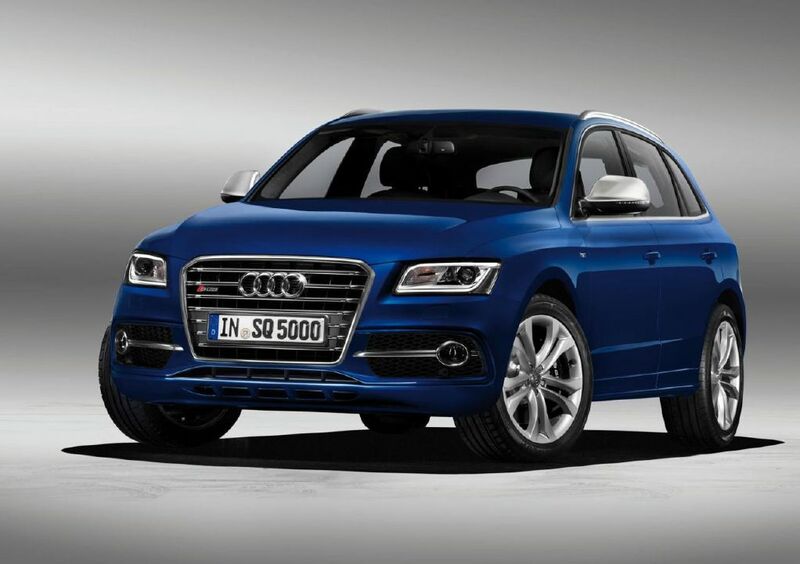 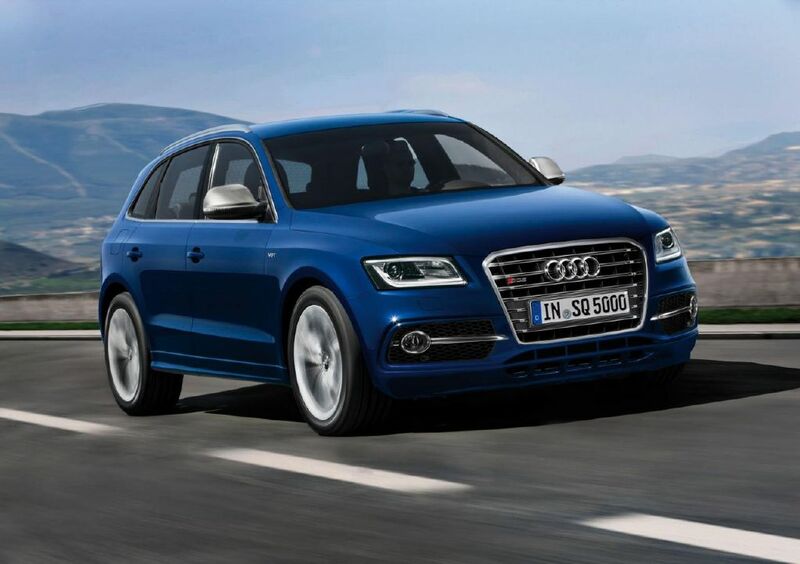 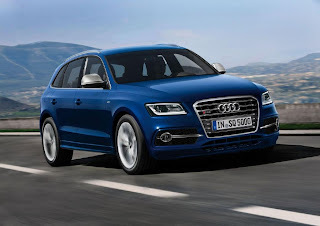 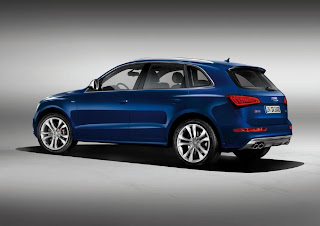 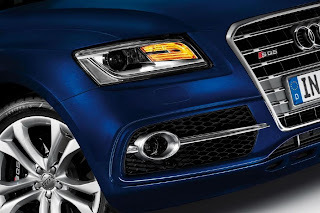 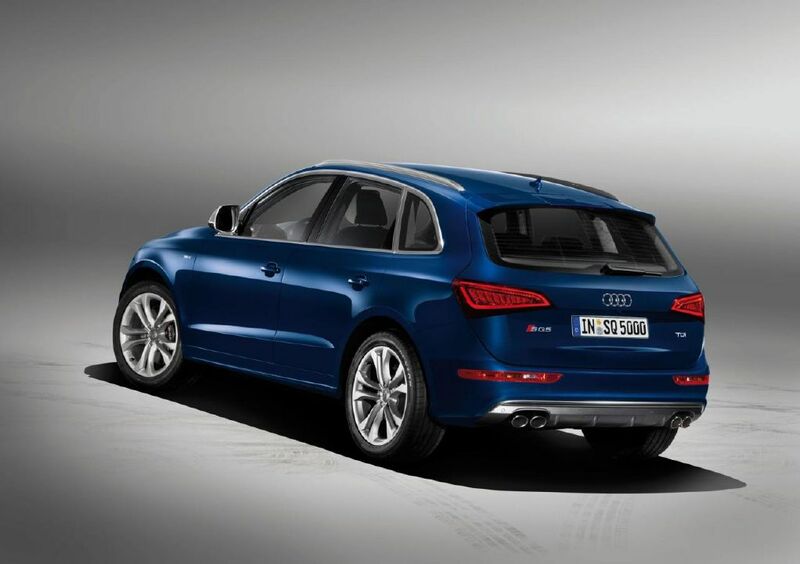 The Audi SQ5 TDI is the first model of the sporting range of the four rings to mount a diesel engine. 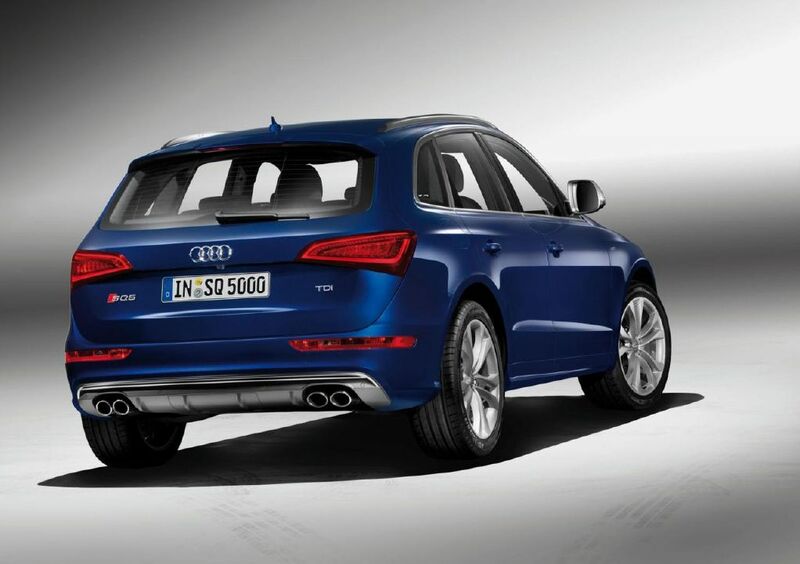 The design includes elements such as reinforced bumpers, 20" wheels, sport chassis, roof spoiler and four exhaust. 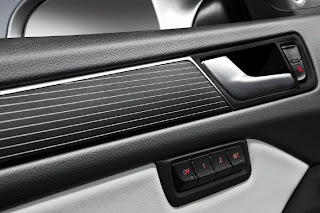 The interior of the passenger stands for sports seats in Alcantara and leather and the sports steering wheel with shift paddles. Under the hood of the Audi SQ5 we find a twin turbo V6 3.0 TDI 313 hp and 650 Nm, coupled to 8-speed Tiptronic automatic transmission, that allows an acceleration from 0 to 100 km/h in 5.1 seconds and reach maximum speed of 250 km/h electronically limited. 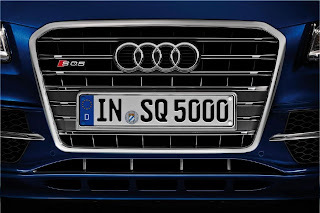 L'Audi SQ5 TDI è il primo modello della gamma sportiva dei quattro anelli a montare un motore diesel. Il design comprende elementi come paraurti rinforzati, cerchi da 20″, assetto sportivo, spoiler al tetto e quattro scarichi. All’interno troviamo i sedili sportivi in Alcantara e pelle e il volante sportivo con le palette del cambio. 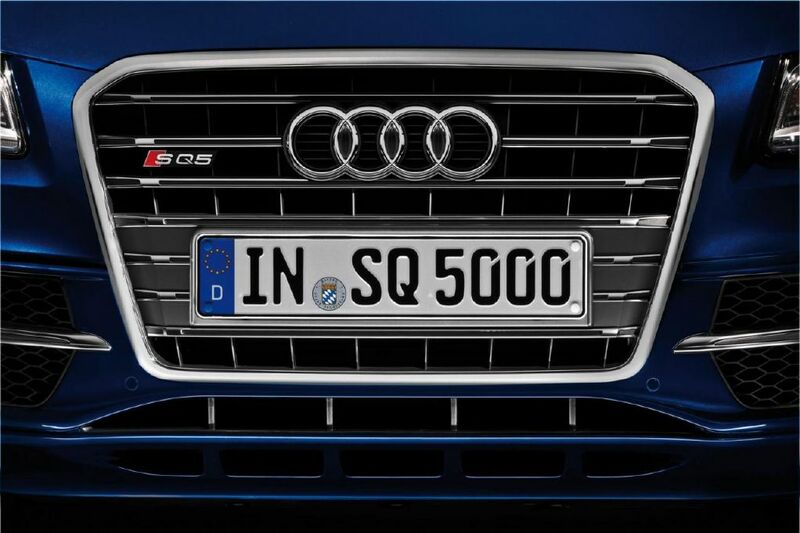 Sotto il cofano dell'Audi SQ5 ruggisce un V6 3.0 TDI biturbo da 313 cv e 650 Nm che, accoppiato al cambio automatico Tiptronic a 8 marce, permette uno scatto da 0 a 100 km/h in 5,1 secondi e di raggiungere la velocità massima di 250 km/h limitati elettronicamente.